ESRC kotisivut » Blog Archive » Start Squash! 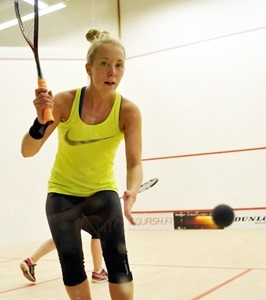 Espoo Squash Rackets Club (ESRC) welcomes all new juniors to Squash Academy and Squash School! Check the info and contact us to sign up or for further info. We will find you a group where you can start squash with ESRC professional squash coaches. If you have three or more friends who would also like to start then we can create for you your own training group! Or sign up for our Beginner’s Squash Courses for juniors or adults, at Esport Center in Tapiola or Kivenlahti Squash, both in Espoo! For adults we have different options to start a new hobby or continue an old one. Read our Adult Coaching brochure. To contact us email or call Adult Coaching Coordinator, Squash Coach Sanna Koivumäki at: aikuisvalmennus@esrc.fi or +358 524 0102.